Disclosure: I was sent copies of these books in exchange for an honest review. All opinions are my own. 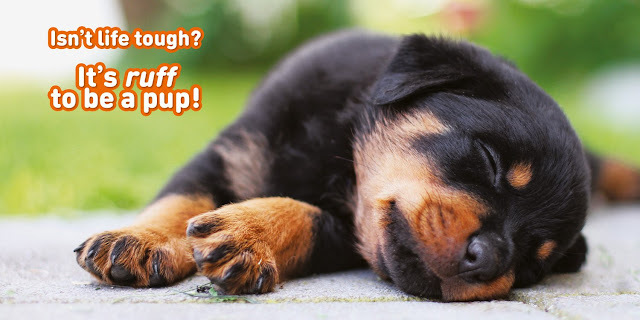 Did you know May is National Pet Month in the United States? (It was April in the United Kingdom.) We love our pets--our two cats and fish. Hazel's love for animals and our pets has gotten her to start a minsitry of collecting items and money for the shelter we got both of our cats--Northeast Animal Shelter. She calls her ministry Pawprints on Hazel's Heart. 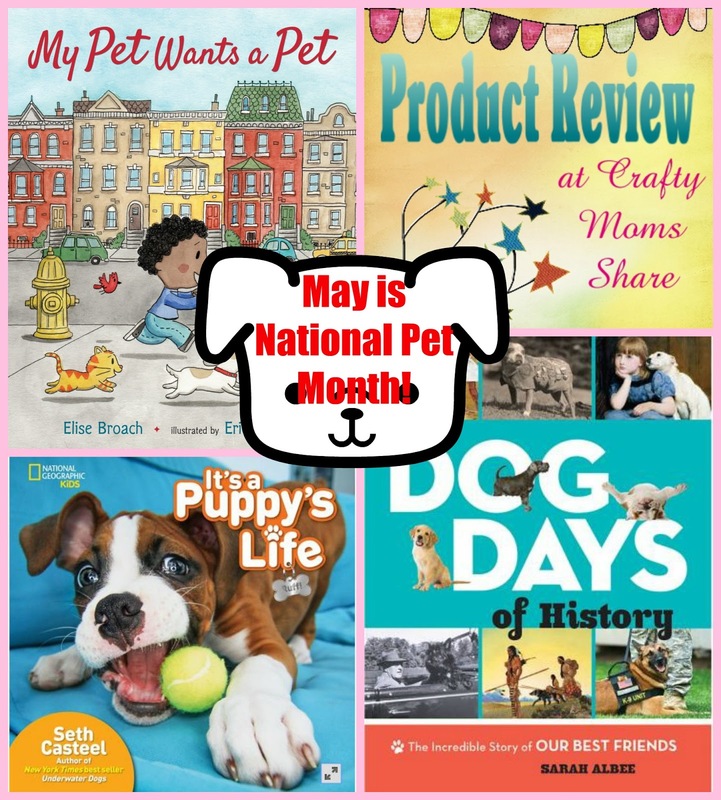 In celebration of National Pet Month I am going to share three pet realted books with you. 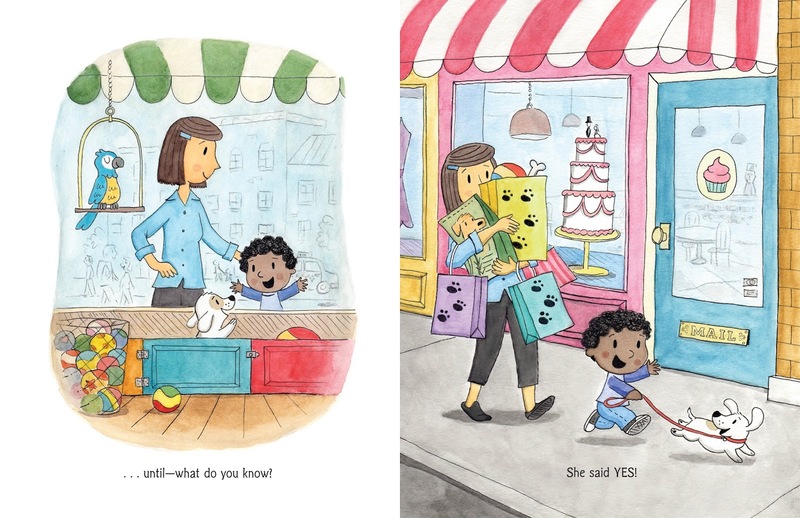 These picture books range in the ages that they will work. Going in order of age, we will start with the two books that are for Preschool through third grade. The fist is It's a Puppy's Life by Seth Casteel. Let's just say this book is full of cuteness!! Last night Hazel and I had the television on and there was a warning about the amount of cuteness the next show had. The show is Too Cute! This book should have the same warning. It is adorable!! It is filled with photographs of puppies being puppies. And they are just so darn cute!! This is one of those books you look at and say, "Awww!" There is not muc to the reading. The photographs have cute words to go with them, but it is really all about the photographs! These photographs make you want to go out and get a puppy. It certainly gives good reasons to have one! 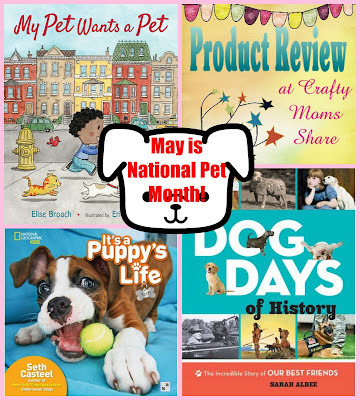 It is a perfect book for National Pet Month. Our next book is for the same age group. 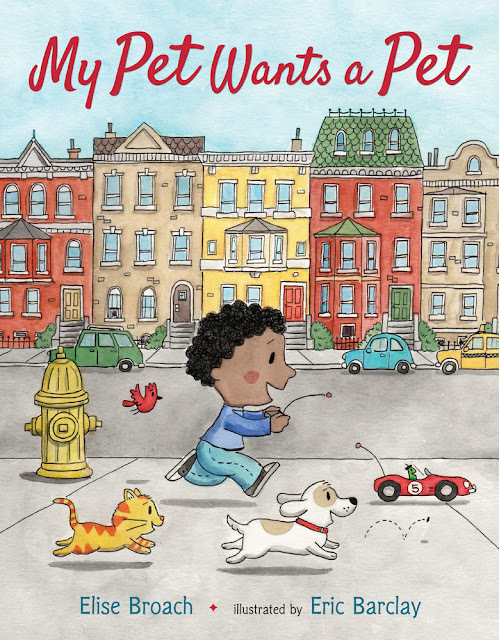 It is My Pet Wants a Pet by Elise Broach and illustrated by Eric Barclay. It starts with a boy who wants a pet. He asks his mother and she agrees. He gets a puppy. They love each other, but then the puppy wants a pet. The puppy gets a kitten. They are all so happy until the kitten wants a pet of its own. The story continues but of course the mother has to put her foot down when the worm's flea wants a pet. What I love about this book is that it shares some important reasons to have a pet. The boy wanted something of his own. 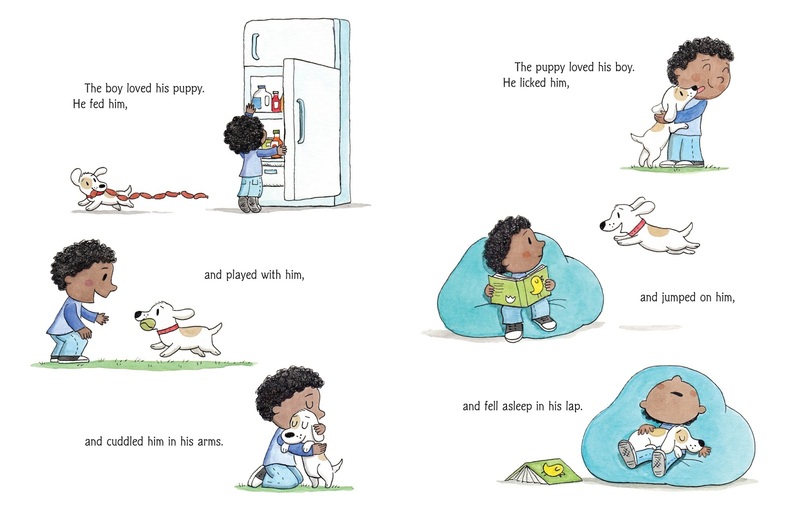 The puppy enjoyed the boy so much he wanted his own pet to enjoy. It goes no from there. Then there is the overall message that everyone needs someone to love and take care. The story is rather silly at times, but it gives such wonderful messages that are perfect for National Pet Month. It talks about the care of a pet as well as the love of a pet. Our final book for today is for older kids. It is recommended for ages 9 through 12 (or grades 4 to 7). It is Dog Days of History by Sarah Albee. This book goes through everything dog. 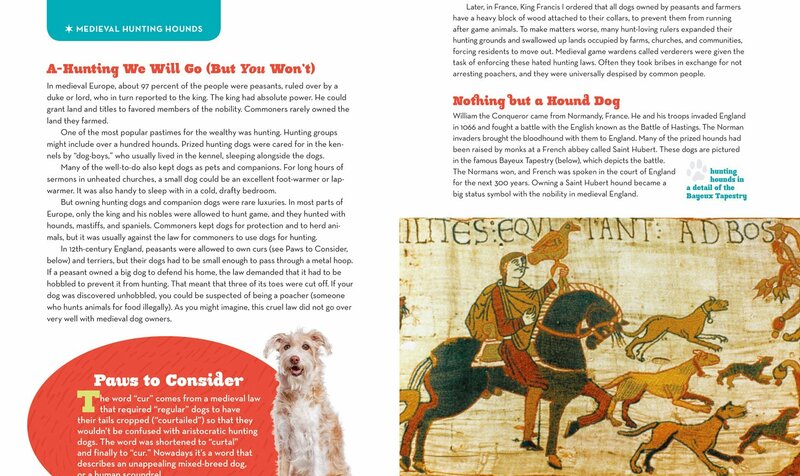 It talks about the science as well as the history of a dog. Every dog relates back to a wolf. The different breeds are just that and not different species. 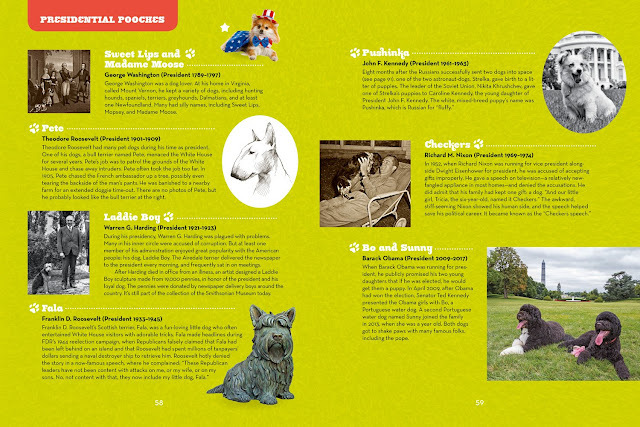 It goes through the roles dogs have had throughout history in different locations and how some of the breeds came about because of the need for the dogs. There are so many different parts to this book. Throughout the book there are the Paws to Consider asides with even more information and there are beautiful photographs. The book is interesting and fun to read. It is perfect for any animal lover!! What roles have dogs played in history? From work dogs to lap dogs and everything inbetween it is all in this amazing book. I know several kids who will love this book!! I hope you take time to enjoy your pets or get to learn more about pets and animals. Be sure to check out these fun books! Be sure to check out our past posts on pets and dogs including this wonderful middle school novel.